Thanks to Terry Wolverton and Writers at Work, this Postcard Poems project is a blast form the past, but poetry is also timeless, not linear, and time is not linear either, so to look back on this poem as a bit prophetic (morbidly) makes me rethink how this mortal coil unwinds. 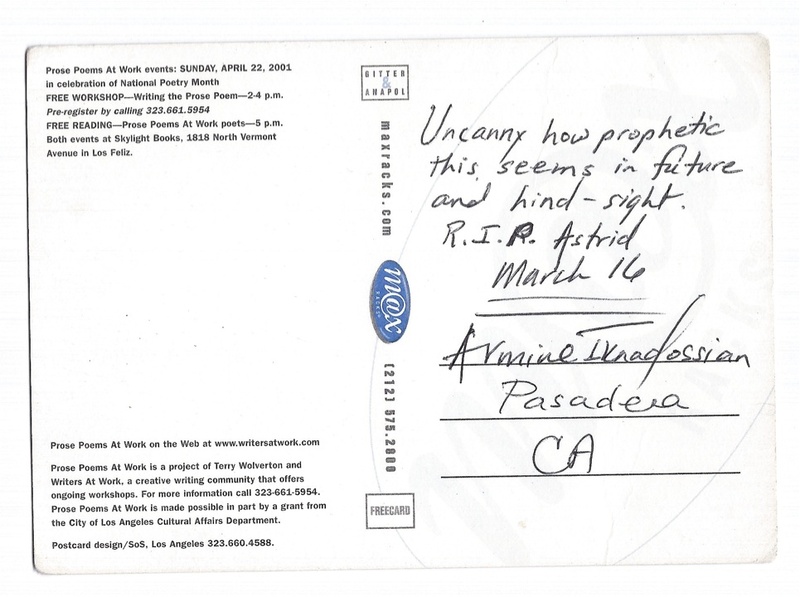 Truly uncanny….my auntie Astrid died on March 16…do the math. And of course the number 3…always the 3.